Events hosted by Gordian Business, including public courses on Negotiation and Strategic Account Management at the University of Technology, Sydney - UTS Executive Education. "Where will business be in five years from now and what will you need to do to succeed?" This will be the topic under discussion by two of Australia's most accomplished business leaders, authors and speakers. The speakers are our very own Stephen Kozicki and Trudy MacDonald from Talent Code HR. Where will business by in 5 years from now and what will you need to do to succeed? What are the current issues and trends? What is the framework for the future of business? What should be your key focus? Managing your Strategic Accounts and Major Clients. 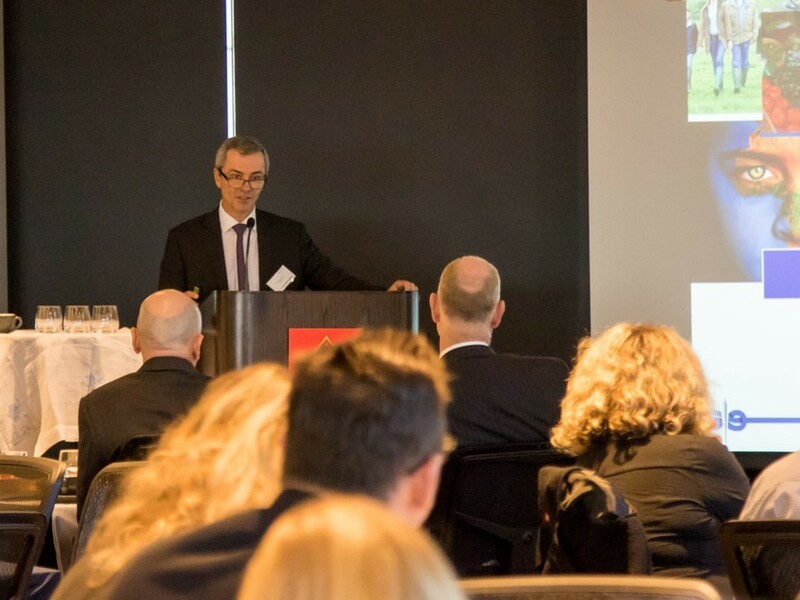 Our 11th Thought Leadership Event was an executive breakfast hosted by Australian Catholic University (ACU), with Peter Knoblanche, the Australian CEO for Rabobank as the main speaker. Peter provided some interesting insights into the challenges of meeting the future of global demand for food with agricultural and logistics supply constraints, and how Rabobank (one of the largest food and agriculture co-operatives in the world) has raised awareness of these challenges through its 'Feed the World' initiative. Peter shared how Rabobank's values are reflected in the way they negotiate with their customers, partners and stakeholders. He reminded us of the importance of genuinely understanding our client's needs. 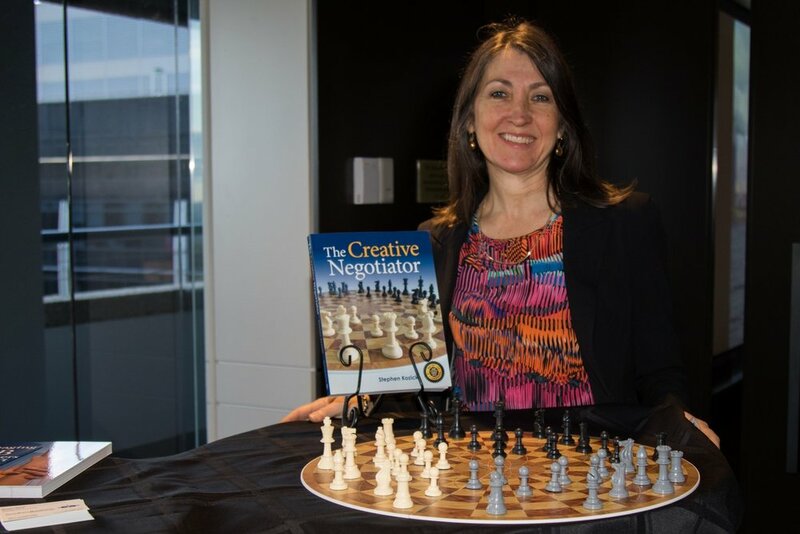 Stephen launched the second edition of his book The Creative Negotiator at this event, focusing on the need to add value in all B2B negotiations. Are your strategic relationships getting stronger? You are invited to join us for a talk and information session, presented by Gary Peacock on strategic account management. He is considered the key expert in this field in the APAC region. Strengthening your strategic relationships will deliver you better results beyond this financial year. Yet, many organisations only measure success by looking at revenue. How can you know if your strategic relationships are getting stronger before you see the increase in revenue? Strengthening relationships is a function of face to face meetings not more emails, your best customers will look for relevance in the relationship not another email. Each participant who attends the workshop will receive an on line survey to use in their organisation. Join us on Tuesday, 10th May for a light breakfast from 7.30am, talk from 8am. Karma and Negotiation - Good or Bad? You are invited to join us for an information session and workshop, presented by best-selling author, international presenter and negotiating expert Stephen Kozicki. Too many people at the end of a failed negotiation blame bad karma for the result and not their lack of preparation. Often because they got to the negotiation table too quickly. The rush was to negotiate, where it should be to prepare. Agility only happens when you prepare for possibilities. In this one hour breakfast session, Stephen will share the 3 critical questions that must be asked in every major negotiation. Each participant who attends the workshop will receive an eBook on this topic. Join us on Tuesday, 5th April for a light breakfast from 7.30am, talk from 8am. You are invited to join us for a talk and information session, presented by Gary Peacock, on persuading for results with big data. For executives and senior managers, there is no doubt we all hold a huge amount of data about our customers. The challenge lies in analysing and then using this data to persuade. In our experience when most people try to persuade with data they in fact dissuade. Learn from Gary in this one hour session how to achieve results when persuading with big data. Join us on Tuesday, 8th March for a light breakfast from 7.30am, talk from 8am. Are idea's from your people captured and used to benefit your customers and your business? Is building an innovation culture on your 'to do' list? How confident are you that you hear the 'truth' of what's going on in your team or business unit? An applied learning workshop on negotiation strategies and cross-cultural deals. This session provided a comprehensive overview of some of the most current research on negotiations. Andrew Brodsky from Harvard Business School and Stephen Kozicki from Gordian Business shared their insights and knowledge on negotiation strategies. In a collaboration with UTS Business School we are now offering a Strategic Toolkit of public workshops.